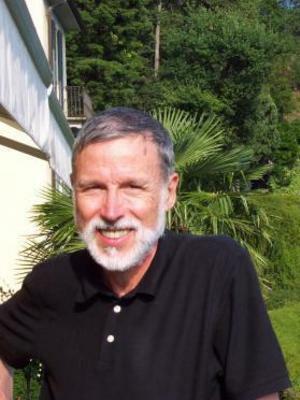 John N. King is a Distinguished University Professor Emeritus; Humanities Distinguished Professor Emeritus of English and of Religious Studies; and senior research fellow of the Rare Book School. He specializes in the English Renaissance, with emphasis on sixteenth-century literature, Spenser, Shakespeare and Milton; Reformation literature, history and art; history of the book; printing history; and manuscript studies. King is the author of English Reformation Literature: The Tudor Origins of the Protestant Tradition; Tudor Royal Iconography: Literature and Art in an Age of Religious Crisis; Spenser's Poetry and the Reformation Tradition; Milton and Religious Controversy: Satire and Polemic in Paradise Lost; Foxe's Book of Martyr's and Early Modern Print Culture; and many essays and reviews. He is the former editor of Reformation and former co-editor of Literature and History. Also, King is the editor of Anne Askew's Examinations; Foxe’s Book of Martyrs: Select Narratives; Voices of the English Reformation: A Source Book; and Tudor Books and Readers: Materiality and the Construction of Meaning. He is the co-editor of The Vocation of John Bale; Henry VIII and His Afterlives: Literature, Politics, and Art; John Foxe and His World; and Sermons at Paul’s Cross, 1521-1642. King has received fellowships from the American Council of Learned Societies, American Philosophical Society, Bibliographical Society of America, Folger Shakespeare Library, John Simon Guggenheim Memorial Foundation, Henry E. Huntington Library, Lilly Endowment in conjunction with the National Humanities Center, National Endowment for the Humanities, Renaissance Society of America and the Rockefeller Foundation. He is a faculty affiliate of Ohio State's Department of Comparative Studies, Center for Medieval and Renaissance Studies and Center for the Study of Religion. He has directed or co-directed ten National Endowment for the Humanities Summer Seminars for College and University Teachers and one NEH Summer Seminar for School Teachers. The profile photograph was taken at Villa Serbelloni, where John N. King completed the writing of Foxe’s Book of Martyrs and Early Modern Print Culture (Cambridge: Cambridge University Press, 2006) during a residency at the Rockefeller Foundation Bellagio Center, which overlooks Lake Como in Italy.